SPS Italia is a leading Italian trade fair recognized as the key event for the Italian manufacturing sector. It is an annual opportunity to discuss the big challenges facing tomorrow's industry. SPS Italia is not just a trade fair about products, it's a fair about solutions. The show brings suppliers and producers together and is characterized by the focus on new technologies related to Smart Manufacturing and Industry 4.0. LEMO will be introducing Anglissimo, the newest connector elbow plug, the perfect solution for camera manufacturers and end-users to prevent cable clutter. Each connector can be oriented during its assembly into any of eight different cable exit angles. LEMO now offers a watertight version of the Anglissimo ™ for outside harsh environments. LEMO's halo LED connector includes a LED lighted flange to display connection status, This Push-Pull metal connector is based on existing LEMO series and is available in B or T series. The M Series High Power connectors have been specifically designed to offer a compact solution for high current carrying connection. This range of connectors uses the well-established M series connector shell designed for harsh environment. The connector uses a state-of-the-art contact design, specially dimensioned to minimize the heat that would usually build up in a connection system overtime. This year at NABSHOW, LEMO will be introducing a NEW version of their SMPTE/HDTV Connector, the 3K.93C.Y, for the broadcast camera market. For the assemblers, this new connector features fewer components and tooling, simplified assembly, and a reduction in lead times. This hybrid connector has a compact design with two single-mode fiber contacts, two power contacts and two signal contacts for HD camera interconnection systems and is 4K ready, fully compatible with the SMPTE 304 standard. Last year was announced, the Anglissimo ™ elbow plug. LEMO now offers a watertight version of the Anglissimo ™ for outside harsh environments. Other products on display: Multishack SMPTE, HD Z-link and Northwire's brand of SMPTE/ARIB cable offerings. Since beginning of march 2019 LEMO has added 3D drawings on the Cadenas platform, an online library for 2D and 3D models also called PartCommunity. 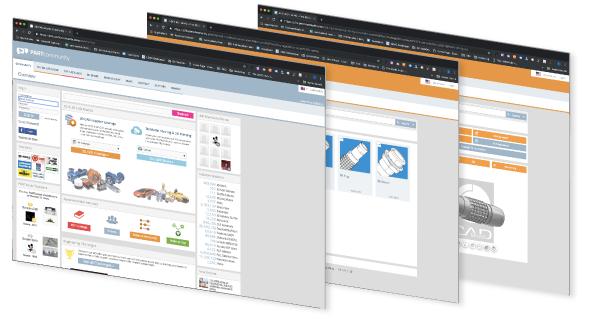 LEMO's 3D models will now be available for free download also from PartCommunity, allowing our customers to download their 3D drawings from multiple sources. The models are organised by product categories & product series. The main goal of LEMO is to support its customers and help engineers to cut design time by offering easy access to product models. Cadenas was created in 1992, has today 15 offices worldwide and in 2016 reached 212 million downloads of 3D model. LEMO connectors enhances its range of Halo connectors with additional product sizes and models. Initially launched in the B series, this product is now also available in the T series, a watertight IP68 connector. This new product range, configurable through the embedded electronics, features a wide range of colours with a RGB indicator arranged in a ring around the connector. The 3 different designs are called LEG, LMG (with a standby light) and LNG (with a narrow ring shape light). Selina Joerg now has two of the most prestigious medals in alpine snowboarding. 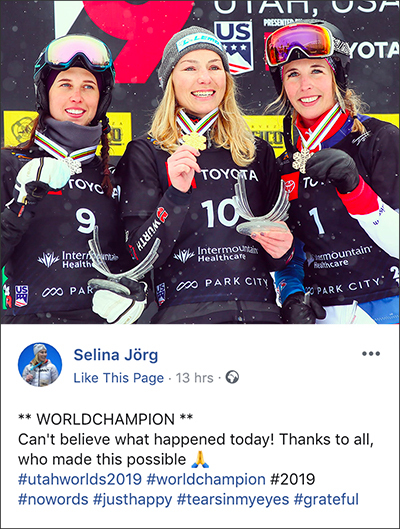 A year after winning an Olympic silver medal in giant slalom in the 2018 Winter Games in Pyeongchang, she added a World Championship gold in the same event in Park City. Latest Release of LEMO’s Single-Patient Use Connector – LEMO’s line of disposable connectors have been designed to ensure quality performance in medical applications, yet can be economical enough to justify single-use. REDEL SP - This series of plastic connectors features a revolutionary patented design using materials compatible with multiple sterilization processes, making this an ideal solution for medical or measurement applications, from catheters to surgical instruments. High-Definition Video Solutions – New high performance 75-Ohm coaxial contacts have been designed for HD-SDi signals transmitting HDTV and 4K video imaging applications. This new contact fits into all insert cavities that already accept the LEMO coaxial “C” type of contact. Multi-way or hybrid options available in IP50 or IP68 connector housings. Fiber Interconnect for Speed and Illumination Solutions – Offering a wide range of options for Single-mode, Multi-mode, APC, Plastic Optical Fiber for transmitting visible light, data, or UV cure applications. Single, multi-way or hybrid options available in IP50 or IP68 connector housings. Integrated Electronics – LEMO has capabilities to work with you on custom integrated electronics for anti-counterfeiting, encoding & identification, calibration and data storage solutions. 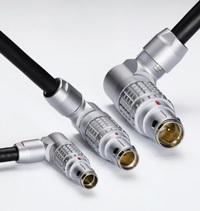 Medical Cable Assembly - To compliment the connection portfolio, LEMO also offers custom cable assemblies and overmolding. Northwire Inc., a LEMO Group Company, will also be in the booth demonstrating their latest medical cable and wire solutions including their new BioCompatic® USP Class VI Medical Grade Cable. LEMO’s product experts will be in the booth and available to work with you on your specific applications. 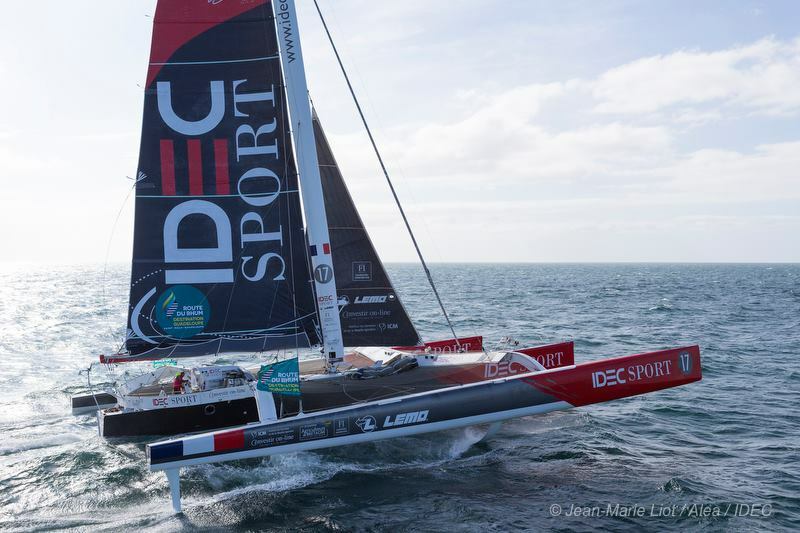 IDEC SPORT Sailing makes it first to the finish line! After 7 days,14 hours and 47 seconds, Francis Joyon (62 years) arrives first at Guadeloupe after catching up mile after mile young François Gabart (35 years) and arrives only 7 minutes before his young rival. Again LEMO is very proud of this achievement and new record! Every 4 years in November the Route du rhum takes places from St Malo (France) to Guadeloupe in the french caribbean. 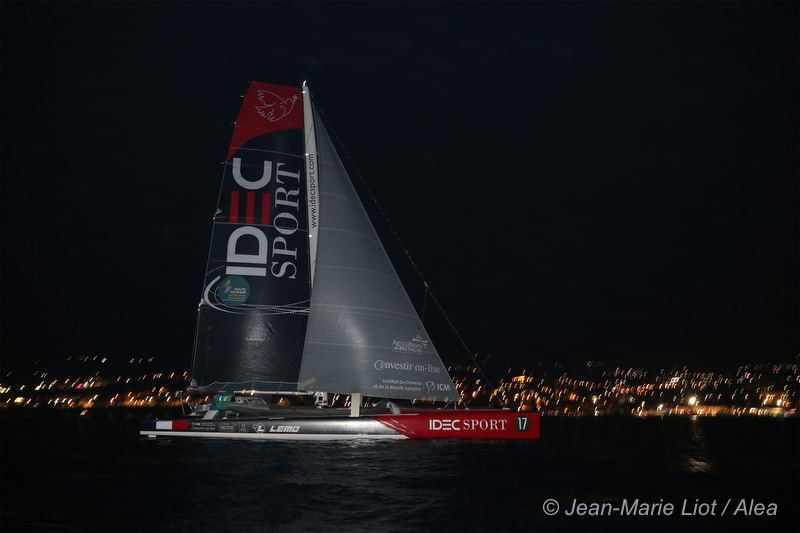 Francis Joyon skipper of IDEC sport in the Ultime category is now in the trade winds following closely the leader of the race. LEMO is a proud partner of this adventure. During Electronica show 2018 (13-16 November 2018), LEMO connectors will be showing its latest product a new Anglissimo connector for outdoor applications. This new connector design of the T series, available in size 0T, 1T and 2T is watertight with an IP68 protection class. The Anglissimo is an elbow plug connector that prevents cable cutter by easily adjusting the cable output position during its assembly. LEMO looks forwards to meeting you again in Munich, Electronica show, in Hall B3 Booth 141. LEMO will be exhibiting its latest range of industry-leading electrical and fibre optic interconnect solutions from the 17 – 18 October 2018 at Engineering Design Show 2018. This is the UK’s only event entirely dedicated to engineering, electronics and embedded design which provides the ideal environment for design engineers to benefit from direct access to the latest products, services and innovations available to the sector. At the show, LEMO will offer an array of interactive displays covering its extensive range of industry leading products, giving engineers the perfect opportunity to gain hands-on experience of the latest innovations and meet the UK team. Servicing a wide range of end markets from Auto-sport, Military, Oil & Gas, Test & Measurement and Broadcast through to Medical, LEMO UK has an experienced team of industry specialists who will be on-hand to share their knowledge and offer advice on these specific application areas. To meet the ever-evolving needs of the electronic sector, LEMO is continuously investing in the development of its product portfolio and services. With the industry evolution of “Lighter, Smaller and Faster” solutions, LEMO can add “without compromise”, as a “more- electric” world inevitably leads to a need for higher levels of reliability. LEMO has further invested in its UK operational this business now offers extended engineering services to support the development of high-reliability electrical and fibre optic cable assembly solutions. The aim of the business is to offer “plug and play” solutions which are tailored to specific customer requirements and optimised for both performance and manufacturing from the outset. The new website is available in English and Spanish, you can view technical cable, retractile, and assembly solutions, as well as the many industries served by Northwire. A new quote request form will help Northwire to more closely partner with customers from the very beginning of their cable project. Northwire aims to clearly communicate the core competencies through a mix of text, images and videos on these new and improved pages. "We know that our customers are busy and we want to make sure they can quickly find the information they need to make a decision or request a quote." If you have not visited our site recently, please visit on the new site and have a look! We hope you like it ", Bridget Locke, Senior Marketing Specialist. 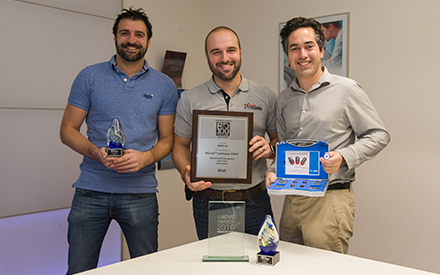 Nothing was certain for the EPFLOOP team from Switzerland when they completed the “intent to compete form” in September 2017 and decided to participate in the competition for the first time. 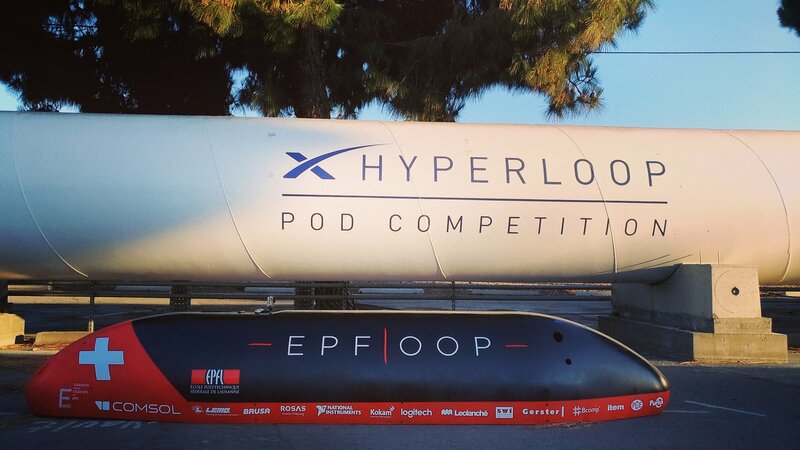 The EPFLOOP team made their way through all the qualification steps and was one of the 3 teams allowed to launch their pod in the 1.6km vacuum tube at Hyperloop test track adjacent to SpaceX’s Hawthorne CA headquarters along with Delft Hyperloop (Netherlands) and WARR Hyperloop from Technical university of Munich. LEMO is very proud of their achievement and congratulates the entire team! LEMO USA, Inc. Announces New National Sales Manager, William Moore. William comes to LEMO with 25 years of knowledge and experience in technical sales management and new business development. “William will be a great addition to the LEMO USA management team and has the vision to develop the sales strategy to respond to our customers’ needs leading LEMO’s sales team towards a successful expansion in the US market”, said Farhad Kashani, LEMO USA General Manager. 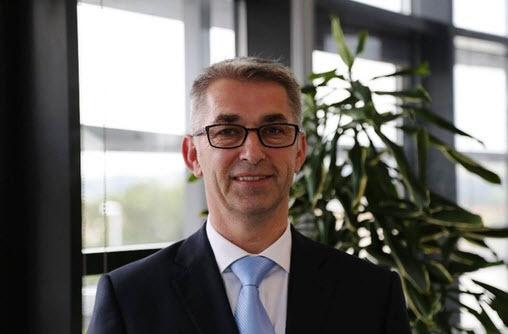 LEMO appoints Jan Sachmann as general manager of LEMO Denmark. Jan Sachmann joined LEMO Denmark on 1st February, 2018 and has been working closely with Erik Morsoe who will be retiring after many years of loyal service to LEMO in Denmark. Jan brings to LEMO his several years of sales and management experience in the electronics industry and the Danish connector market. The LEMO Group wishes him and LEMO Denmark the best of success. LEMO USA, Inc. is proud to announce that they have received their certificate for the 2016 revision of the ISO 13485 standard. These certifications are accredited by SQS, Swiss Association for Quality and Management in partnership with IQNet. ISO 13485 establishes requirements for a comprehensive quality management system for medical device and component manufactures including requirements for regulatory purposes. “This process was the culmination of a thorough effort by our team to upgrade the LEMO USA Quality Management System to 2016 Revision, and this continues to put LEMO USA in a strong position to serve medical customers”, said Farhad Kashani, LEMO USA, General Manager. LEMO launches a new connector for inter connection of HD video cameras in professional broadcast industry. The new hybrid connector called 3K.93C.Y is fully compatible with existing SMPTE and ARIB standard. This recent LEMO design has less components allowing easy assembly and reducing the termination costs for the hybrid fibre optic connector. Furthermore this new product has been engineered to be more tolerant of operator variations and therefore performance can be more easily optimised during the termination process. It includes a new contact called the FS fibre contact. The connector can be easily identified with its new shell design and fibre optic contact shape. LEMO is participating along with EPFLoop in the Hyperloop Competition which will take place on 22nd July 2018 in California. The SpaceX Hyperloop Pod Competition's aim is to accelerate functional prototypes and to encourage student innovation. This year, the competition will focus on a single criterion, which is speed. EPFLoop is a team of professors, students & phd students from the Ecole Polytechnique Fédérale de Lausanne, which is located just a few kilometers away from LEMO's headquarters. LEMO is an official sponsor of the Swiss team and is dedicated to providing innovative solutions to the energy team. The 10th issue of LEMO's CONNECTED magazine is out! So far, CONNECTED has already led us from space exploring telescopes to turbines harnessing deep sea currents. From sensors operating at 2,200 degrees to vehicles equipped to drive to the North Pole. We have listened to experts in satellites, energy, the environment, drones, 3D printing and motor sport. We have travelled in the wake of innovators and their innovations– among them, your companies and LEMO. Vivatechnology will be taking place in Paris on the 24th to 26th of May 2018. Vivatechnology is the world’s rendez-vous for startups and leaders. Last year there was 68’000 visitors and 6000 start ups at the show. LEMO will be exhibiting on booth F39 and invites you to see LEMO latest innovations and discover our approach to accelerating innovation. Rovenso, a swiss start up from the EPFL and partner of LEMO, will be demonstrating it’s Roveo Fire in the Robot Park of Vivatechnology. Rovéo fire is an agile robot designed for intervention in rough terrain. On LEMO’s booth there will also be Dronevolt and Focal demonstrating how LEMO connectors can be integrated into innovative solutions. 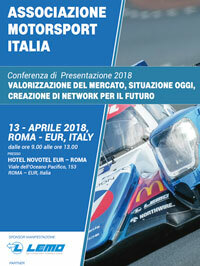 LEMO is the main sponsor of the italian motorsport conference that's held on April 13th in Rome. We will be there to welcome you and answer your queries. This year LEMO will be introducing the new 3GHz 75 Ohm Coaxial Contact. LEMO’s 3GHZ coaxial contact can be used in various broadcast connector configurations (indoor and outdoor applications) and combines multiple HD-SDI BNC type connectors into one. 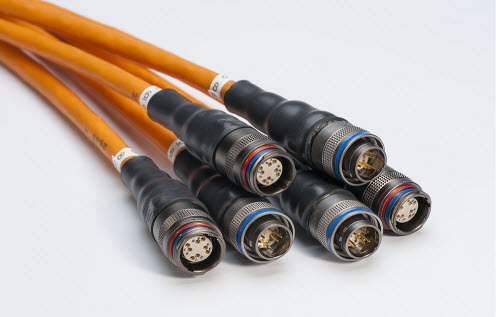 This new contact is particularly well suited for 3x coaxial (HD), 4x coaxial (4K) and 10x coaxial (8K) applications taking multiple HD-SDI BNC type connectors into one integrated connector, making interconnections simpler and more compact. LEMO’s Northwire brand of HDTV SMPTE/ARIB cable offerings (ruggedized, harsh environment and Steadicam HD cables) will also be on display at the booth. Northwire has extensively designed, tested and validated these new cable offerings to provide a full solution to the broadcast market. Knock-offs of electronic components, such as connectors, can cause big problems for purchasers, particularly if the purchasers are inaccurately informed as to what they are buying. Indeed, these parts are often deliberately designed to superficially resemble or imitate premium parts that have been manufactured with more stringent design specifications and that offer greater ultimate performance. This white paper gives you all the key information and issues that may arise when purchasing a non-genuine product. LEMO will be exhibiting two new innovative products at the Broadcast Video Expo 2018 (Stand No. N20) which is being held from 28th February to the 2nd March. This show is the UK’s largest entertainment and media tech event which, is again, returning to the London ExCeL centre located in the heart of London Docklands. The first of these new products being launched by LEMO at the show will be a new range of 3K.93C.Y SMPTE 304M connectors. This product is the next generation version of LEMO’s industry-standard HD camera connectors which offers users the additional benefits of a lower total cost of ownership. With its reduced weight and improved internal design, it greatly reduces both transport and cable termination costs. In addition, this new product has been engineered to be more tolerant of operator variations and therefore performance can be more easily optimised during the termination process. The second new product being launched by LEMO at the show will be its Compact Spice Tray (CST). Specifically targeted at the fast-paced broadcast market where “time is of the essence”, this product offers users the ability to quickly and easily install a space saving and robust HD video bulkhead interface solution without compromising performance. LEMO has been supporting Rovenso, a Swiss startup, who was a finalist of the Robotics Challenge of the International Atomic Energy Agency. The event was held in Brisbane Australia. 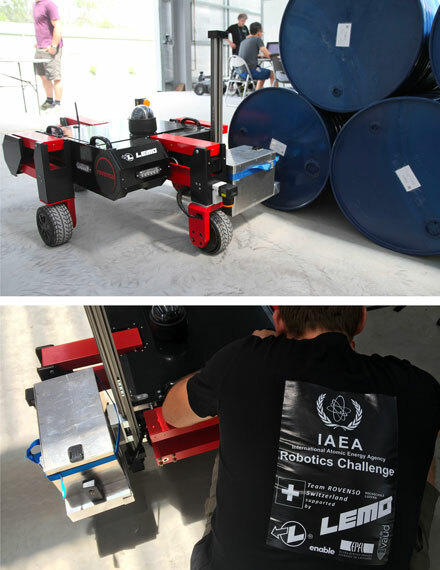 The goal of this challenge was to identify robots that will assist IAEA inspectors in carrying out their tasks. More specifically, repetitive measurement and stock identification tasks in harsh environment areas exposed to high radiation levels. "Automating these scenarios is perfectly aligned with the mission of ROVENSO" says Thomas Estier. "We make agile robots to keep workers out of harms way in challenging terrains and harsh environments, so we are really excited to show how ROVéo performs in these scenarios, discover the best strategies from other teams and compare the different hardware solutions." The whole ROVENSO team would like to thank deeply its partners and particularly LEMO SA. "The participation to this challenge is the very first result of a long-term collaboration between our two companies. It’s great to find industrial partners in Switzerland that put a high priority on innovation and are actually spending time, energy and money to work with startups." says Thomas Estier, CEO of Rovenso. This prize recognizes companies with a significant worldwide presence who are also major contributors to the canton’s economy. 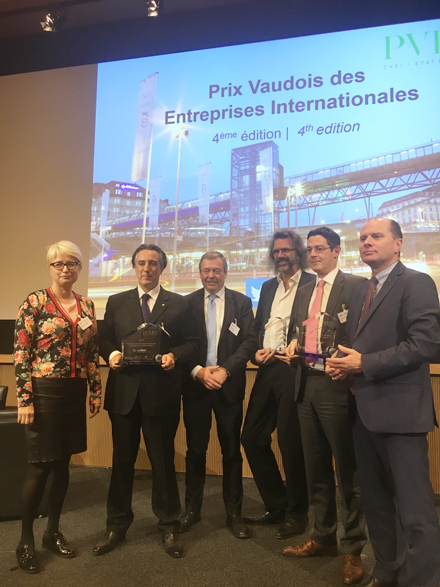 The award was presented to Mr Alexandre Pesci, CEO on 23rd November, 2017 by Mr Philippe Leuba, Minister of Economy in front of over 300 attendees. LEMO has recently filed 2B series for UL 508A. These requirements cover industrial control panels intended for general industrial use, operating from a voltage of 1000 volts or less. Both of these items : EGG.2B.304.CLL (4 contacts) and EGG.2B.307.CLL (7 contacts) are UL 508A. How to specify a breakaway connector ? What is a quick disconnect or a break-away connector? This whitepaper will give you all the key informations you may need. Safety in emergency situations is often the main motivation for specifying break-away connectors in many applications. LEMO launches a new 3GHz coaxial contact (75 ohm) designed for RG 179 B/U type cable. This contact can be used in various insulator configurations: 3 x coaxial, 4x coaxial, 10 x coaxial, as well as in combinations of coaxial and low voltage signal contacts. It provides an interesting solution for the broadcast market (HDTV, 4K, 8K) as an alternative to HD-BNC. Finally, these new contacts can be built into watertight connectors such as the K, T or even W series. (Philadelphia, PA/Ecublens, Switzerland – September 5, 2017) – PEI-Genesis, a global leader in the design and assembly of custom engineered connectors and cable solutions, has announced the expansion of its distribution partnership with LEMO, the global leader in circular Push-Pull connectors. Nogales, MX; Southampton, UK; and Zhuhai, China as well as sales offices throughout the Americas, Europe and Asia. More information may be found at peigenesis.com. LEMO is a global leader in the design and manufacture of precision custom connection solutions, which are used in a variety of challenging application environments, including medical, industrial control, test and measurement, audio-video, broadcast and telecommunications. LEMO now offers cable and wire as well as cable assembly services, and provides more than 75,000 combinations of products that continue to grow through custom, specific designs. LEMO’s innovation team wins the CiMi.CON Award after competing against some highly respected companies. The CiMi.CON Award recognizes, honours and celebrates outstanding projects, strategies, tools and process innovations of industry leaders and hidden champions in Competitive and Market Intelligence. "Two weeks ago, we were thrilled to learn that our project was selected from among 18 projects by a panel of experts. For the final we flew to Berlin to pitch our Shape the Future challenge in front of 150 people. Once we arrived, it was great to discover that the other finalists were Pepsi Co. & Philips Healthcare. After a 3 minute pitch by each nominee and a live vote, we were honoured to discover that LEMO won the CiMi.Con Award 2017!" By winning the award, LEMO also won a 1,000-euro aid for a German charity organization that helps refugees learn German. LEMO will be displaying their latest technology in connectors, cable/wire, and cable assembly during the XPONENTIAL AUVSI 2017 Trade Show and Conference, May 9-11, at the Kay Bailey Hutchison Convention Center, Dallas, TX, Booth #2641. 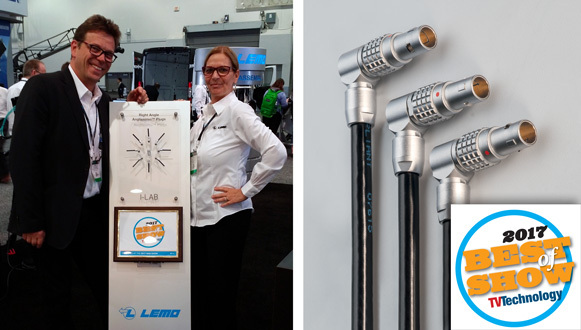 The LEMO Anglissimo connector is the recipient of NewBay’s Best of Show Award, presented at the 2017 NAB Show by TV Technology. 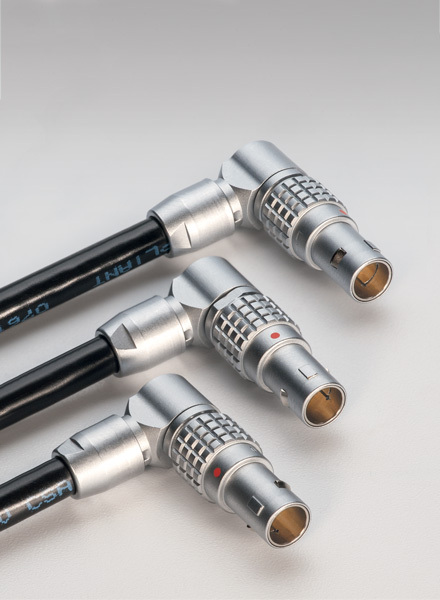 LEMO continues to offer the highest quality connection solutions to the broadcast market with their connection solutions for outdoors (harsh environments) and studio (indoor-use) applications. LEMO’s products include the well-established 3K.93C HDTV Connection System (SMPTE 304 compatible), Audio/Video Connectors, Digital Media Converters, Cable Assemblies, Fiber Optic Maintenance, Inspection and Cleaning Tools. As well as the new innovative Anglissimo connector. 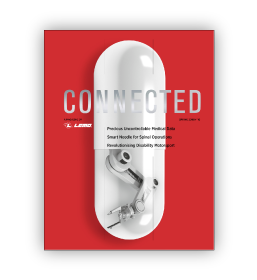 The 8th issue of LEMO's CONNECTED magazine is out! LEMO launches a new design for the S series connector range. The S series connector is one of the initial designs of the LEMO Push-Pull system. This product range will now also include a new outershell design using LEMO's famous chocolate bar shape. The product uses the S series half-moon inserts and is fully compatible with the existing S series sockets on the market. Both straight plug and free socket use the collet of the B series, thus offering a slightly different cable range than the existing S series. The Nicoral™ surface treatment is a salt spray corrosion resistant finish. Salt spray corrosion testing was invented at the beginning of the 20th century. It’s a controlled corrosion environment testing used to test corrosion-resistant materials. LEMO’s Nicoral surface treatment can be applied to our range of Aluminium connectors and offers 500 hours of salt spray resistance for instance with LEMO’s M series and F series connector. The Halo LED connector is a connector with a LED lighted flange allowing to display the connector status, thus enabling the user or operator to have an immediate visual indication of the connection status. It can be used for Network connection status and it can be used to display settings too. When multiple connections need to be made, the user will know straight away if all the connexion setups are running fine. 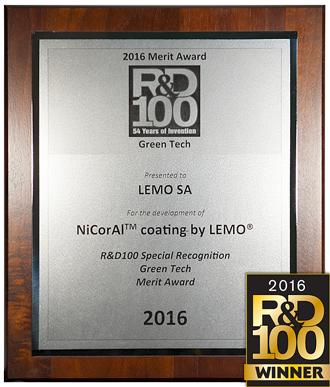 LEMO is proud to announce that it's NiCorAl™ coating was recognized by the judges of the annual R&D 100 Awards program. The R&D 100 Awards recognize the 100 most innovative technologies and services of the past year. The R&D 100 Awards have served as the Oscars of Innovation for the last 55 years, honoring great R&D pioneers and their revolutionary ideas. Winning an R&D 100 Award not only recognizes the efforts of the development team and partners. The judging panel consisted of a panel of outside experts chosen from professional consultants, university faculty, and industrial researchers with expertise and experience in the areas they are judging. NiCorAl™ coating was honored with a special recognition award: the Green Tech Merit. By offering a “green” alternative to cadmium and chrome VI coatings for aluminum bodied connectors without compromising corrosion resistance performance, R&D Magazine wanted to recognize NiCorAl™ coating as it helps make our environment greener. The LEMO Group is proud to announce the creation of LEMO Middle East. 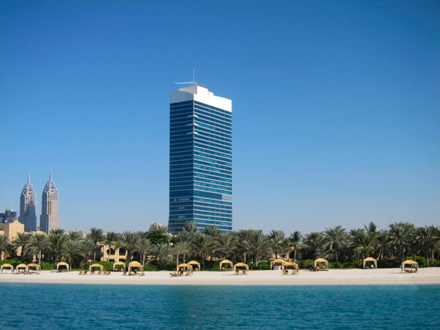 The sales office is located in Dubai, United Arab Emirates. This new LEMO entity will serve as a hub to support customers in the Gulf States: the United Arab Emirates, Kuwait, Bahrain, Egypt, Iraq, Oman, Qatar and Saudi Arabia. At a later stage, it will also serve other countries of the Middle East. LEMO Middle East will be competent for sales, technical support and will keep a local connector stock. LEMO Middle East will represent the LEMO, REDEL and Northwire brands. The Board of Directors has appointed Mr Ahmed Abdallah as general manager for LEMO Middle East. An Egyptian national and fluent in English and Arabic, Ahmed has been established in the UAE for 9 years and has solid experience in the Gulf & Middle East market, with a background in electrical engineering specialised in cables and accessories. Please join us in welcoming Ahmed Abdallah and wishing him and LEMO Middle East every success. In honor of LEMO's 70th birthday. The 7th issue of LEMO's CONNECTED magazine is out! LEMO will be at Electronica 2016 in Munich. The show starts on the Tuesday 8th of November and LEMO will present its latest connector Anglissimo. This new elbow connector design allows to adjust and position the connector in an efficient way in order to prevent cable snagging. Each connector can be oriented during its assembly. Find out more about the product Anglissimo. LEMO and RED have been close partners for a very long time with RED using LEMO authentic connectors across their camera platforms. 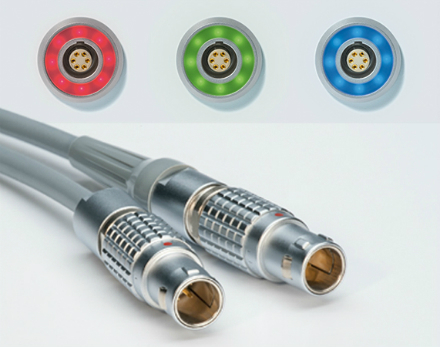 Recently, at two European exhibits (IBC and CINEC) , LEMO representatives served notice to RED claiming that some third party accessories may have incorporated infringing connector technology. I would like to personally apologize to RED on behalf of LEMO for serving notice in this manner and in these two instances. Neither RED nor LEMO have any control over third party suppliers incorporating infringing products. In fact, both RED and LEMO are continuously fighting the same unfortunate problem which has become an epidemic in the high-tech industry. LEMO values the business relationship established over many years with RED and will continue to work with RED in our common fight against product infringements. Multi concentric contact connector is a new range of products dedicated to setups where connectors need to allow some rotation. Applications include petroleum downhole drilling systems and turret applications. These precision engineered connectors include multiple concentric electrical contacts. the number of contacts range from 4 to 10 contacts available in various shell sizes. These contacts are designed for low speed rotation, they can last up to 10000 rotation cycles. 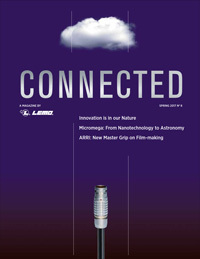 The 6th issue of LEMO's CONNECTED magazine is out! Formula E - the Future? LEMO enhances the T series range with a new design, the connector plug and free socket now include the LEMO "chocolate design" pattern, already on LEMO’s traditional products, B and K series. This new design is completely compatible with previous designs. The TT, 0T and 1T series will be available with 3 latches. Caps are to be updated to reflect the chocolate plate as well. Find out more with the online catalogue. 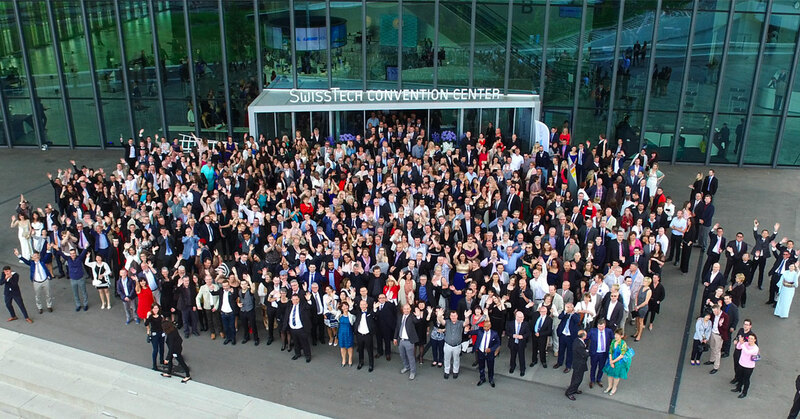 On Saturday 4th June, 2016, LEMO celebrated their 70th anniversary at the SwissTech Convention Center EPFL (Swiss Federal Institute of Technology, Lausanne), near the company headquarters. On this occasion, the staff of all Swiss manufacturing sites, REDEL, LEMO 5 and LEMO SA, as well as representatives of all foreign subsidiaries were invited to celebrate the company's foundation, back in 1946, with a gala supper and show. During Hanover Messe 2016, LEMO participated in the Directindustry i-NOVO awards. Out of 25 nominees, two LEMO products got 1st and 3rd place in the Design and Tech categories respectively. The Nicoral corrosion resistance received third place in i-NOVO Tech category and the IAC- Intelligent Active Connector received first place in the Design category. The Nicoral surface treatment was first announced in July 2015 and has been generating a lot of interest for companies searching for MIL-spec like connectors. "The Nicoral surface tratment, allowing up to 500 Hours of salt spray corrosion on aluminium connectors is a great new corrosion treatment unlike existing products on the market", says Mathieu Menet the person behind the innovation. The IAC - Intelligent Active Connector is a new range of connectors launched by LEMO a few weeks prior to the show. The Halo LED connector is a connector with a LED lighted flange allowing to display the connector status, thus enabling the user or operator to have an immediate visual indication of the connection status. When multiple connections need to be made, the user will know straight away if all the connexion setup is running fine. Rohnert Park, California — LEMO, a global leader in the design and manufacture of precision custom connection solutions will be displaying their latest technology in connectors, cable/wire and cable assembly during the XPONENTIAL AUVSI 2016 Trade Show and Conference, May 3-5, at the Ernest N Morial Convention Center, New Orleans, LA, Booth #549. Northwire, Inc., a LEMO Group Company and manufacturer of wire and cable, will be joining LEMO in the booth demonstrating their latest technology in wire and cable products. LEMO most recently announced a new watertight connector series, the T Series, and will be demonstrating this new connector series at the show along with LEMO’s other high quality connectors. LEMO has launched a new connector called Halo LED, which is part of a new range called IAC™ (Intelligent Active Connector). 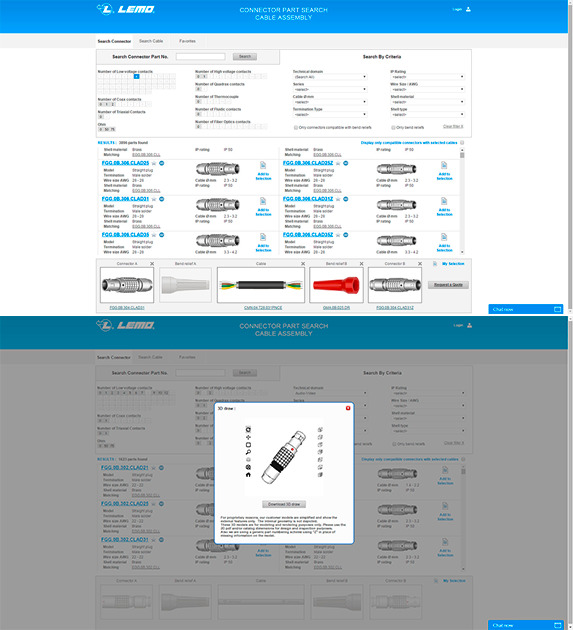 LEMO's Part Search tool allowing users to search for connectors has been updated. The improved PartSearch allows users to search for both connector and cables within LEMO's product database. Individuals results can be saved as dedicated datasheets in PDF. Additionally, users can also search for cable assemblies, the system will guide to matching connector and cables. 3D drawings remain available as well as PCB footprints for sockets. LEMO is celebrating its 70th anniversary in 2016. Seven decades of innovation have led LEMO to offer over 75,000 product combinations, a product range that continues to grow through custom specific designs. LEMO was founded in 1946 by Mr Léon Mouttet in Morges, Switzerland. 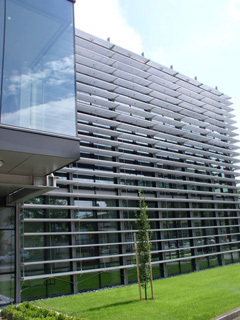 Initially, the company specialised in manufacturing electrical contacts in noble metals for the Swiss post and test equipment for watch barrels. In August 1957, Mr Léon Mouttet invented and patented the Push-Pull connector and since then the company has experienced steady growth. 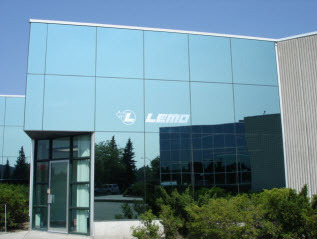 LEMO opened its first sales office in Italy in 1964 and then in Germany and the United States. The Group now has subsidiaries and distributors all over the world. 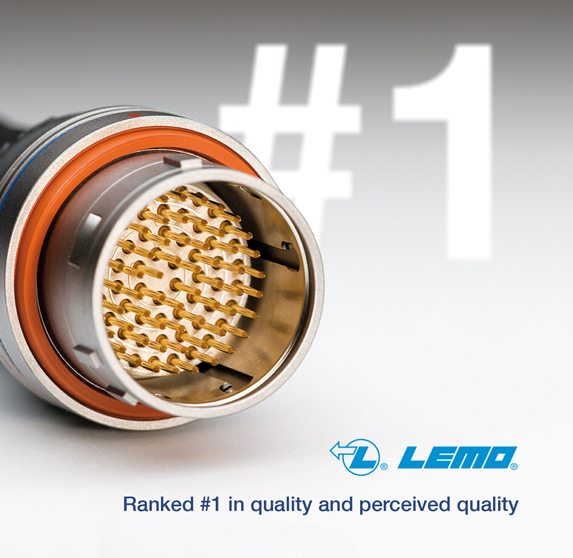 At first, LEMO manufactured exclusively metal connectors. Since 1984, the product range was extended by producing plastic connectors under the REDEL brand name. 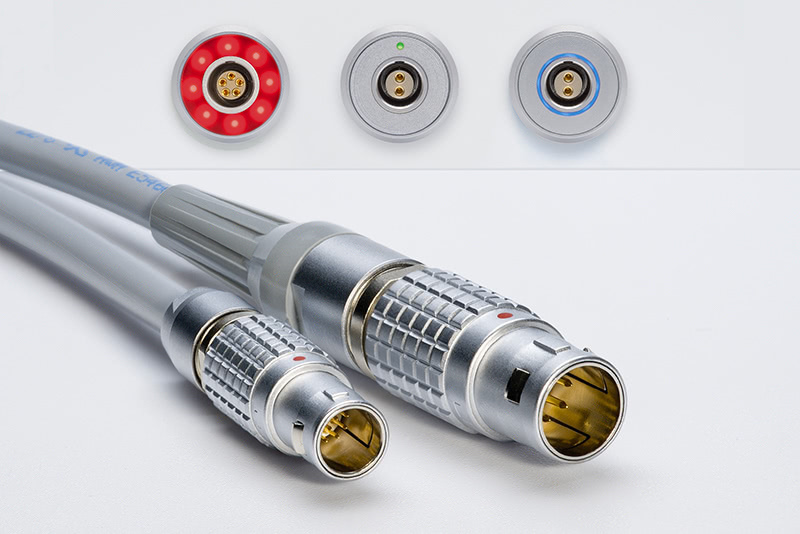 LEMO connectors and cables are present in various fields of applications, the most important ones being the medical, test & measurement and broadcast industries. With the latest acquisition of NORTHWIRE in 2014, the group now employs over 1500 people dedicated to making high-quality connectors, wire and cable solutions. Throughout its 7 decades of business, LEMO has remained a Swiss family-owned business, with 95% of added value produced by the company and more than half of its staff based in Switzerland. The Renault e.dams Formula E team revealed a new agreement with precision connector and cable designer LEMO, today at the Swiss company’s head office in Ecublens. LEMO CEO Alexandre Pesci was joined by Renault e.dams Senior Team Managers Alain Prost as well as drivers Sebastien Buemi and Nico Prost, to announce the new partnership this afternoon. As current FIA Formula E Championship leaders in both the Teams’ and Drivers’ standings, Renault e.dams is a perfect match for market-leader LEMO and its proven track record for producing top quality custom connections and cable solutions for a variety of applications. The LEMO brand, which is already present in the top echelons of motor racing, will adorn the Renault Z.E.15 from the Buenos Aires ePrix, the fourth round of the FIA’s first all-electric racing series, which takes place on the streets of the Argentinian capital on February 6. With the forward-thinking championship attracting crowds of people to its thrilling city centre races since the inaugural 2014/15 season, this partnership is an ideal platform for LEMO to expand its brand into the high profile world of electric racing and to work with Renault e.dams to develop new technology. The 5th issue of LEMO's CONNECTED magazine is out! The LEMO group is proud to announce the creation of LEMO Latin America. 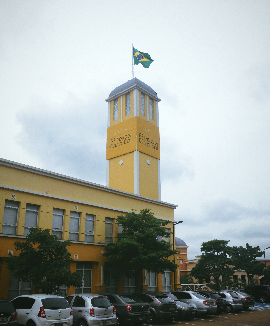 The sales office is located in the city of Campinas in the state of São Paulo - Brazil. This new LEMO subsidiary has been officially established on December 1st, 2015 and will serve as a hub to support customers in South America, structured to meet sales, technical support and will keep local connector stock. LEMO Latin America will represent the LEMO, REDEL and Northwire brands. In addition to the Brazilian market, LEMO Latin America will represent LEMO in neighbouring South American countries, including Argentina, Bolivia, Chile, Colombia, Ecuador, Paraguay, Peru, Uruguay, and Venezuela. LEMO Latin America will strengthen LEMO's position in South America and will respond to existing and future customer needs. "South America is a very promising market with many active projects and a potential for the industrial sector. The creation of this office is an important step for LEMO because I consider essential to establish a close and constant contact with our customers in Latin America ", said Rogerio Rodrigues, Managing Director of LEMO Latin America. LEMO connectors has been ranked #1 in quality and in perceived quality in the Bishop & associates inc. 2015 report. Bishop & associates annually conducts a survey of electronics equipment manufacturers (OEMs) Cable Assembly Manufacturers, Contract Manufacturers (CEMs) and Distributors to determine how the Connector Industry, and selected connector manufacturers, are performing. Ranking number one in quality in their comprehensive survey gives us great satisfaction knowing that our objective of distributing quality products to our customers has been recognized. Not resting on our laurels, we continue to push our limits to deliver great products and services. LEMO SA is happy to welcome the EPFL Alumni Vaud-Valais section on tuesday 29th of September in their headquarters in Ecublens, Switzerland. The EPFL - École Polytechnique Fédérale de Lausanne (www.epfl.ch) was founded in 1853 under the name École spéciale de Lausanne, and at that time, it had only a dozen students – as opposed to nearly 10,000 today. Today the alumni community counts up to 27000 engineers across the globe (http://www.epflalumni.ch). The number of participants for this visit is limited. 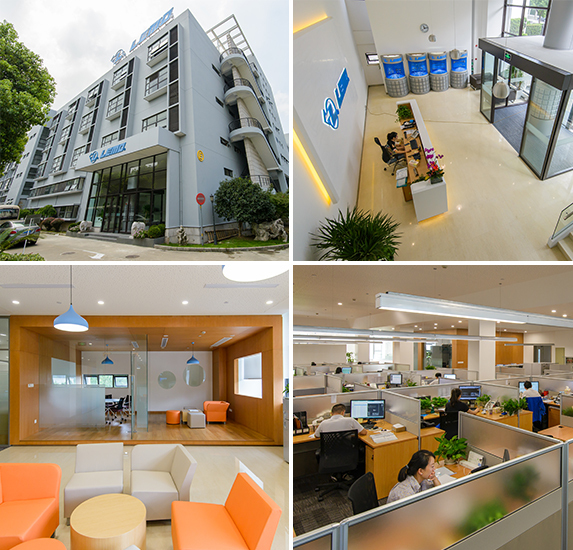 LEMO China is happy to announce that we have moved into new business premises since August 2015. The new venue is ideally located in Jindian Road, in Pudong Shanghai and its surface is over 5000m2. “The new building offers better organization and more space for our growing production in cable assembly”, says David Ge General Manager of LEMO Electronics (Shanghai). Anodising the aluminium M series enhances the choice of available colours. The bright colours can be applied to one of the 37 connector models available in 8 different sizes and remain visible after extensive use in harsh environments. Based on LEMO’s M series connector, it remains IP68 compliant and it's rugged design is conceived for use in high vibration environments. The product includes gasket and sealing options that are oil and fuel resistant. Its compact design is ideal for space saving. These connectors are designed for use in the motorsport world for easy and quick identification but specific applications can include: on board electronic systems, test equipment, portable and radio systems or automotive wire harness. Accepting cable diameters ranging from 2.8 mm to 14mm, this series is available in multipole from 2 to 114 pins with crimp contacts or PCB contacts as well as hybrid low current/ high current contacts or with fibre optic contacts. These connectors are designed for use with non-shielded cables. The 2M series connector line is enhanced with Category 6 high speed connectors. • Transmission performance meets Category 6 specification up to 250 MHz for 1 GigaBit Ethernet transmission according IEEE802.3an. These products are specifically designed to work outdoors in harsh conditions temperature extremes, humidity, and vibration. After 22 years working for LEMO, Richard Thomas will be retiring from the position of Managing Director of LEMO UK. During his time at LEMO UK he has been actively involved in the development of new ranges of connectors, the F Series and M Series initially for F1 applications but increasingly for Defence and Aerospace, created a full package of Broadcast Connection solutions based around LEMO’s 3K.93C SMPTE compatible hybrid fibre camera connector, established a fully qualified connector and cable assembly service and managed the construction of new state of the art premises in Worthing. Richard Thomas would like to thank all his customers and suppliers for their support and business during his time with LEMO and to wish them all the best for their future challenges. We are pleased to announce the appointment of Peter Dent as Managing Director, LEMO UK Ltd and he will be taking up the role with effect from 1st October. Peter joins us from Smiths Connectors having worked within their interconnect division for the past 27 years. During his time at Smiths’ he held various senior engineering and business development functions within the European division and went on the lead both their Mil /Aero and Industrial business units based in the UK and Germany respectively. Having started his career in design engineering and working his way up to Senior Management, Peter brings a wealth of experience in the design, manufacture and marketing of industry leading interconnect solutions across multiple market sectors. On his appointment Peter Dent said: “I’m delighted to be joining such a great interconnect company with a heritage of delivering innovative high quality solutions that solve a wide range of customer problems, and I am excited by the opportunity to take LEMO UK into its next phase of growth and development, building upon an excellent reputation and strong market position in its chosen sectors. Rohnert Park, California, USA — LEMO USA, Inc. (www.lemo.com), a subsidiary of LEMO SA (headquartered in Ecublens, Switzerland), a global leader in the design and manufacture of precision custom connection solutions, is proud to announce that they have achieved ISO 13485 Certification for the Design, Manufacture and Distribution of Medical Components and Cable Assembly to medical customers on June 10, 2015. These certifications are accredited by SQS, Swiss Association for Quality and Management in partnership with IQNet. ISO 13485 establishes requirements for a comprehensive quality management system for product design and development consulting services for the medical device market. ISO 13485 is based on the ISO 9001 format with additional requirements for design, special processes, environmental control, traceability, documentation records, and regulatory actions. To become certified as ISO 13485 compliant, LEMO USA underwent a thorough evaluation process that included initial assessment, quality management system development, and a full management system documentation review. ISO 13485 certification is a significant milestone for LEMO USA”, says Dean Pohwala, General Manager. “We believe that our decision to become ISO 13485 Certified is a proactive one that not only anticipates the demands of our customers, but also demonstrates our commitment to providing quality services and safe products to all of our customers in the medical industry. Our ultimate goal is guaranteed customer satisfaction”, continued Pohwala. LEMO connector and Northwire cable manufacturer are pleased to announce the opening of the manufacturing companies’ new European warehouse: the European Distribution Center (EDC). 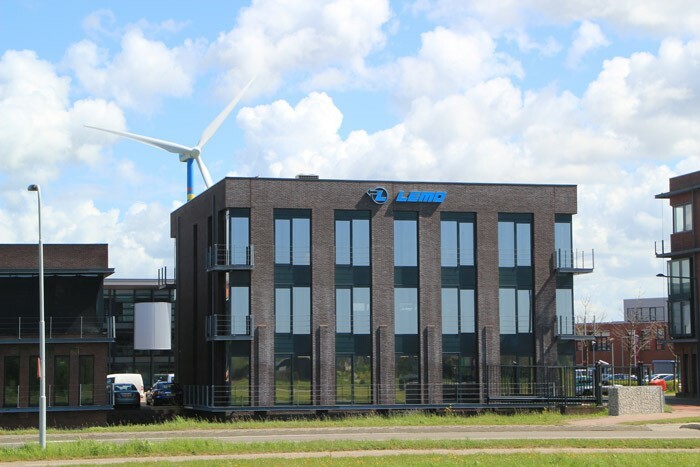 Designed for rapid customer response, it is ideally located at LEMO's Benelux facility in the Netherlands.This entity will offer specialised inventory programs, fast delivery and custom cable services as well as technical support. Both manufacturers and their customers will benefit from the advantages provided by a centralised and responsive EDC, which is expected to be fully operational in the second quarter of 2015. “The launch of the European Distribution Center represents another milestone in LEMO and Northwire’s continuous pursuit to bring more value to our customers,” explains Northwire's CEO Katina Kravik. Sharing Kravik’s enthusiasm is Niels Zonnenveld, managing director of LEMO Connectors Benelux: “In addition to engineering a complete connector and custom cable assembly solution for the Benelux region, LEMO and Northwire are pleased to offer specialised Kanban and inventory programs with short lead times, personalised for our valued European customers.” Capitalising on his 10-year experience and having been at the start-up of LEMO Benelux, Zonneveld has been integral to the design, creation and implementation of the EDC, selecting and training “really energetic and vibrant” staff members and implementing robust systems. The key customer benefits of the LEMO-Northwire EDC reside in the Expedited Solutions and Services programme. Similar to Northwire’s USA-oriented NWI DIRECT and NWI EXPRESS programmes, which feature fast delivery and factory-direct bulk cable cost savings, the EDC will focus on LEMO and Northwire's customers in Europe, in conjunction with LEMO’s local sales companies. These benefits include warehousing and distribution, risk management, redundancies, rapid response and delivery, custom wire and cable lengths and full logistical support for supply chain and inventory management. Rohnert Park, California — LEMO, a global leader in the design and manufacture of precision custom connection solutions has recently announced a new watertight connector series, the T Series, and will be demonstrating this new connector series at the AUVSI Show, May 5-7, Georgia World Congress Center, Atlanta, Booth #3011. Northwire, Inc., a LEMO Group Company and manufacturer of wire and cable, will also be joining LEMO in the AUVSI booth demonstrating their latest technology in wire and cable products. The T Series Connector offers a new innovative design for the defense/security, test & measurement, medical and any other market/application that requires a watertight connection. The T Series Connector is a small sized watertight connector using the same original LEMO Push-Pull technology. Based on the LEMO B Series, the T Series Connector includes a special construction with an inner-sleeve and extra sealing to enable IP68 water protection. The T Series is available in 2- to 32- contact configurations. Contacts can be terminated by soldering to the wire, crimping onto the wire, or directly to a PCB. A keying system ensures correct connector alignment and the connector outershell offers full EMI shielding. The T Series utilizes the proven high-performance contact system and configurations from the highly popular LEMO B Series range, providing a very wide selection of options that can be made available quickly. T Series plugs are backwardly compatible with the B Series receptacles (IP50). The T Series receptacles fit the same receptacle panel-hold diameter as the B Series, which will be a benefit to customers wanting to upgrade their existing designs. The connector outershell is available in black-chrome finish or plated brass, making the product ideal for defense systems such as aircraft communi­cations, land vehicles, night-vision equipment, simulation or personal battle equipment, as well as in the test & measurement and other industries wherever the environmental conditions require ruggedized equipment. The T Series catalog can be found at: http://www.lemo.com/catalog/ROW/UK_English/T_series_en.pdf - Please note that additional T Series sizes (accommodating higher pin counts) will be available soon. Ecublens, Switzerland and Osceola, WI — LEMO (www.lemo.com), a global leader in the design and manufacture of precision custom connection solutions, and Northwire, Inc., a LEMO Group Company and manufacturer of wire and cable, will be introducing their new HDTV SMPTE and ARIB cable offerings to the Broadcast Market during NAB, April 13-16, 2015, in Booth C9012. Working collectively with LEMO’s worldwide expert specialists, Northwire has extensively designed, tested and validated their newest product to provide a full solution to the market. 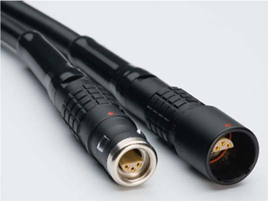 This cable offering meets or exceeds SMPTE (311-M) and ARIB (BTA S-1005B) standards. LEMO continues to serve the broadcast marketplace with their high-quality connection solutions for outdoors (harsh environments) and studio (indoor-use) applications. LEMO’s products include the well established 3K.93C HDTV Connection System (SMPTE 304 compatible), Audio/Video Connectors, Digital Media Converters, Portable Fusion Splicing, Cable Assemblies, Fiber Optic Maintenance, Inspection and Cleaning Tools. 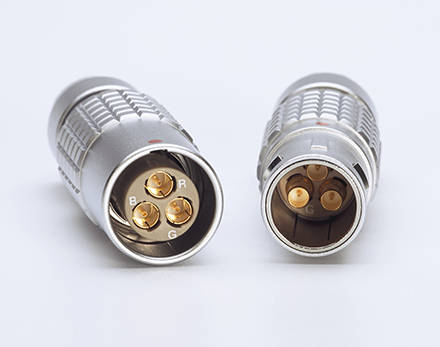 A new cable choice ranging from AWG 12 to AWG 28 has been developed to serve LEMO connector customers. The cables are available in either PVC (UL AWM style 2464) or TPR medical grade (USP class VI) outer jacket. Northwire cable engineering company is ISO 13485:2003, ISO 9001:2008, and SAE AS9100C certified. These high speed circular connectors complete the 2B Series line. The new contact configuration can be used in the LEMO B, K (sealed) or T (sealed) Series and is suitable for Category 6A. – Transmission performance meets Category 6A specification up to 500 MHz for 10 GigaBit Ethernet transmission according IEEE802.3an. Rohnert Park, California, USA — LEMO (www.lemo.com), a global leader in the design and manufacture of precision custom connection solutions, will be demonstrating its latest connection solutions for critical medical applications in Booth #1659 during MDM WEST, Anaheim, CA, on February 10-12, 2015. LEMO will be presenting its latest development in medical connector products, including the REDEL® Single-Patient Use Connectors (disposable), plastic Push-Pull connectors, and their newest watertight connector, the LEMO 0T Series. LEMO is showcasing its latest products and initiatives at the show, delivering even smaller connectors whilst maintaining or improving connector performance, along with products from newly-acquired specialist cable manufacturer, Northwire Industries. Northwire offers special cables to customer requirements in small quantities and with a fast turn-around time, thus complementing the range of connectors and enabling LEMO UK to offer complete custom connection solutions, including overmoulded assemblies. 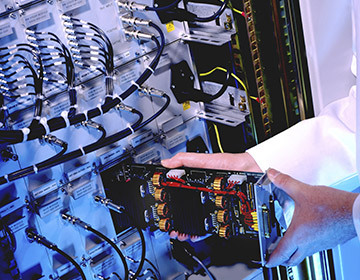 Northwire have many years experience of manufacturing cables for a wide range of industries, including medical, test & measurement, defence, robotics and automation. Quality approvals include ISO9001 and AS9100C. LEMO's latest development, the “Tiny Trio”, is based around smaller diameter contacts which are able to maintain high contact ratings due to the unique LEMO design : an inbuilt spring ensuring continuous contact even with high vibration. LEMO has firstly been able to squeeze 5 contacts, each rated to 1.5A, into its tiny 00 Series, which is only 6mm diameter, making it ideal for communication and other equipment where very small yet tough connectors are required for handling signals. Additionally (on show for the first time at the Southern Manufacturing Exhibition), LEMO is now able to offer 12 contacts in the 0B series, which is only 9.5mm in diameter and is also rated 1.5A continuous. The second new range from LEMO is the waterproof T Series, which builds on the long and widely established B Series connectors, incorporating the original LEMO Push-Pull latching connection technology and including an inner sleeve and additional sealing to provide protection against water ingress to IP68 level when mated. The 0T Series was the first of the T Series to be made available, and other larger sizes will be presented at the show for the first time. The new T Series utilizes the proven high performance contact system and configurations from the highly popular LEMO B Series range, providing a very wide selection of options that can be made available quickly. It is backwardly compatible with the B Series, with the same socket panel hole diameter, which will be of considerable benefit to customers looking to upgrade existing designs as there is no need to change front panel dimensions, and upgraded cable plug assemblies will work with existing sockets. The third development, the MM Series, is the smallest of the LEMO M Series ratchet coupling connectors, the significantly smaller alternatives to standard military connectors (e.g. MIL C38999) with up to 4 contacts in a ruggedised micro housing. Rohnert Park, California — LEMO, a global leader in the design and manufacture of precision custom connection solutions has recently announced a new watertight connector, the 0T Series. The 0T Series Connector offers a new innovative design for the defense/security, test & measurement, medical and any other market/application that requires a watertight connection. The 0T Series Connector is a small sized watertight connector using the same original LEMO Push-Pull technology. Based on the LEMO B Series, the 0T Series Connector includes a special construction with an inner-sleeve and extra sealing to enable IP68 water protection. The 0T Series is available in 2- to 9- contact configurations. Contacts can be terminated by soldering to the wire, crimping onto the wire, or directly to a PCB. A keying system ensures correct connector alignment and the connector outershell offers full EMI shielding. 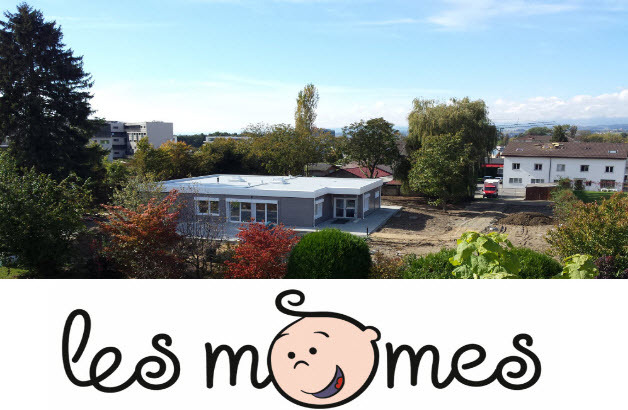 "Les mômes" has opened end of 2014. 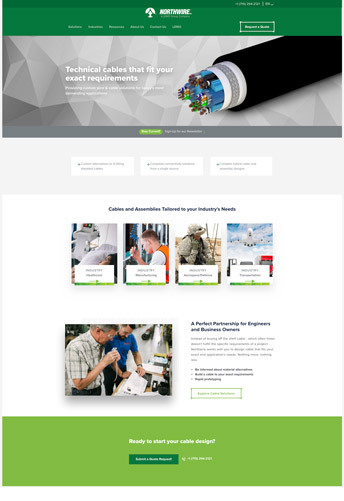 Ecublens – December 9, 2014 – Cable engineering company, Northwire, Inc., (NWI), in collaboration with precision cable connector leader LEMO, co-publish a white paper geared toward educating engineers and product designers. Around the world, with applications ranging from space to sub-terrain, today’s engineers are challenged with inventing solutions for future generations. LEMO and Northwire understand that fully-integrated, end-to-end solutions are integral to success in these harsh conditions. Ranging from the extremes of underwater applications to oil and gas instrumentation, the LEMO – Northwire white paper series will explore the complex requirements that are as demanding as their respective environments. With more than two-thirds of the surface of the earth, it is fitting that Underwater Connectivity represents the first in the series. By tackling the engineering challenges of underwater cables, underwater connectors and ancillary electrical components, readers will learn the most important elements of design, fit, form and function. 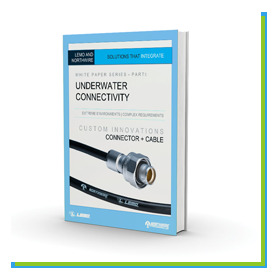 The underwater connectivity white paper dives deep on the critical to quality factors of connectors and cables that will be used in a wet or submerged environment. Electrical systems used in underwater applications have an abundance of opportunities to fail; reliable, proven products that deliver high performance in these demanding elements are crucial to success. In the white paper, Northwire and LEMO cover crucial topics from bottom-line considerations and long-term expenses to custom cable manufacturing and performance capabilities of electrical connectors. The white paper reveals the key environmental factors and guides decision-makers through a nine-step evaluation to determine the custom cable and specific electrical connector to meet their exact requirement. Northwire and LEMO, both internationally recognized for high-quality custom solutions, offer a robust selection of custom wire, cable, connectors, and assemblies for use in a variety of water types and depths. Engineers design and manufacture custom cable, underwater cable and connectors that navigate complex domestic and international regulations, and meet specific requirements such as IP68, ABS (American Bureau of Shipping) and more. Now, it is easier than ever to rationalize your cable and connector supply chain; Northwire and LEMO demonstrate the tangible benefits of their partnership through comprehensive, integrated cable connection solutions. 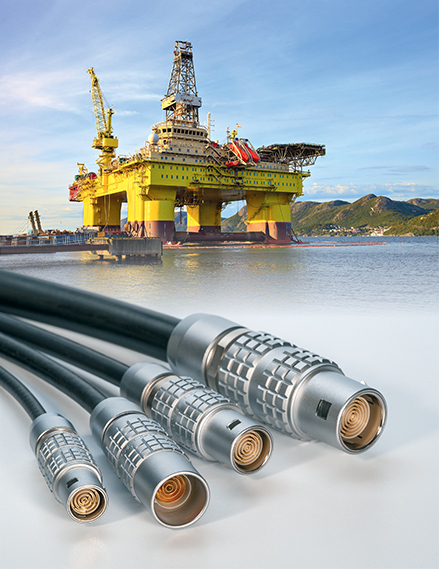 NWI’s heavy-duty cable incorporates seamlessly into LEMO’s watertight connectors to provide guaranteed performance in the most severe underwater environments, offering customers reliability, durability, cost-savings, convenience and support from a global network of Subject Matter Experts (SME). Whether you are a design engineer or an electrical engineer, LEMO now offers you over 1550 Altium PCB libraries for download. These libraries save electronic design engineers a great deal of time and effort during the PCB design process as there is no need to create a CAD Library for specific parts in a design anymore. The Altium libraries contain both connector schematic and PCB footprints. Some models include the 3D STEP file for further modelisation. connectors, is pleased to announce that they have acquired Northwire, Inc., (NWI) a US specialty cable manufacturer of wire and multi-conductor cable and retractiles for the medical, aerospace and defense, energy and industrial markets. valued customers. I am convinced that by creating synergy between our two companies, we can grow and prosper side-by-side. Together we will be able to provide our customers high-quality complete cable-connector solutions. I am very pleased about this new venture with NWI and look forward to developing new business together. I also take the opportunity to emphasize that the Northwire and LEMO existing structures will remain unaltered. The additional processes that we plan to implement will enable Northwire’s integration into the Group and promote our cooperation and services provided to our mutual customers”, said Alexandre Pesci, CEO and President, LEMO Group. The two major trends in connector development over the last few years have been miniaturisation and increased contact density. System integrators in various markets, such as automotive, testing and aviation, are looking to increase the number of sensors and data acquisition means. Naturally, this requires more connectors and cables in reduced space. LEMO is extending its range of M Series connectors with the introduction of the new MM Series. The MM Series is available with 2, 3 or 4 contacts and will be one of the smallest IP 68 connectors of the LEMO range. 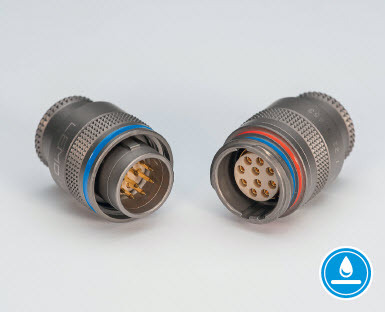 With this very small connector, LEMO completes its range of connectors for the automotive / racing market by offering connectors suitable for cable diameters 2 to 27 mm and contact configurations ranging from 2 to 114 contacts. Whether you are a design engineer or an electrical engineer, LEMO now offers you over 1400 Eagle PCB libraries for download. Rohnert Park, California — LEMO (www.lemo.com), a global leader in the design and manufacture of precision custom connection solutions, continues to serve the broadcast marketplace with their high-quality connection solutions for outside (harsh environments) and studio (indoor-use) applications. 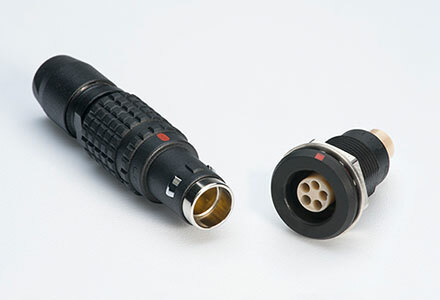 LEMO will be demonstrating their connector solutions in Booth #C9012 during NAB, Las Vegas, April 7-10, 2014. LEMO’s products include the well established 3K.93C HDTV Connection System (SMPTE compatible), Audio/Video Connectors, Digital Media Converters, Portable Fusion Splicing, Cable Assemblies and Fiber Optic Maintenance, Inspection & Cleaning Tools. LEMO will have a live demonstration of the HD Z-Link fiber optic camera link system that provides multi-channel camera-style video and audio connections, and control for studio cameras and camcorders over a single hybrid cable using LEMO’s well established high-quality 3K.93C connectors. The use of high bandwidth fiber optics and the multiplexing of numerous forward and return video, audio, talkback and data channels provide full communication with any camera position. NILES, Ill. — April 1, 2014 — Joseph Electronics (JE), the premier one-stop shop for the broadcast industry and provider of fiber termination and custom fiber solutions through Joseph Fiber Solutions (JFS), today announced that they have been officially certified by LEMO to build and repair SMPTE 311M fiber optic cable assemblies with the LEMO 3K connectors. The LEMO 3K.93C hybrid connectors have a compact design with two single-mode fiber contacts, two power contacts, and two signal contacts for HD camera interconnection systems. The LEMO 3K.93C is fully ANSI/SMPTE (USA), ARIB (Japan), and EBU (Europe) compliant. Joseph Electronics — and its fiber division, Joseph Fiber Solutions — has achieved the highest level of technical excellence in attaining LEMO-certified SMPTE cable assembler status. LEMO is proud to annonce a new distributor agreement with Trigital in Chile. Trigital has established itself in the Broadcast offering technologies, diagnostics, services and maintenance of Hybrid Fiber Optics in all its forms and extensions with great succes in Chile and with ample opportunities to offer this service to the rest of South America. LEMO tiene el placer de anunciar un nuevo acuerdo de distribucion con Trigital en Chile. Rohnert Park, California, USA — LEMO (www.lemo.com), a global leader in the design and manufacture of precision custom connection solutions, will be demonstrating their latest connection solutions for critical medical applications in Booth #1659 during MDM WEST, Anaheim, CA, February 11-13, 2014. LEMO’s latest in medical connector products include the NEW REDEL® Single Patient-Use Connectors (disposable) plastic push-pull connectors. The REDEL brand of LEMO is a well established plastic connector series specifically in the medical market. LEMO will be demonstrating a few new sizes (26 and 34 pin) of these high-quality self-locking plastic connectors for single patient-use. 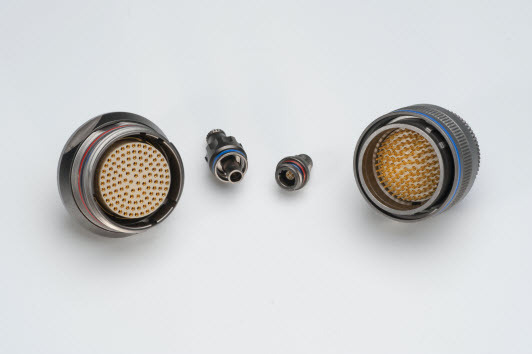 LEMO recently announced this new line of specialized single-patient use connectors, ideally designed to ensure quality performance in medical applications, yet can be economical enough to justify single-use. LEMO Canada is happy to announce that we have moved into new business premises since September 20, 2013. The new location is ideally located in Richmond Hill, Ontario. 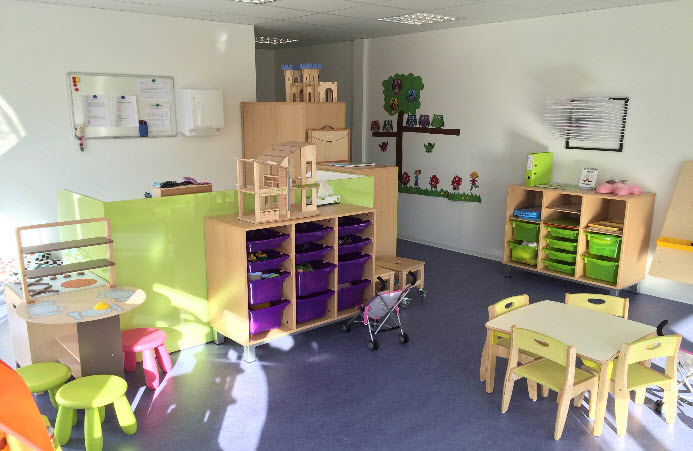 "We're delighted to be moving into this newer and brighter premises. 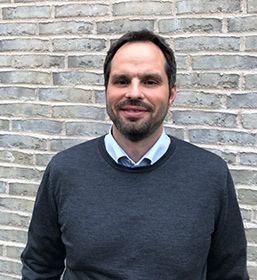 This new office will give us the ability to set up to better meet our current customers' demands and also gives us flexibility to meet our future growth plans", says Mario Colacino General Manager at LEMO CANADA INC. Please note that the phone and fax numbers have changed. Any existing post sent to the current address will find its way to us just fine. Rohnert Park, California — LEMO (www.lemo.com), a global leader in the design and manufacture of precision custom connection solutions, will be demonstrating their connection solutions for field (harsh environments) and studio (indoor use) applications in Booth #C9012 during NAB, Las Vegas, April 8-11, 2013. LEMO’s products include the well established 3K.93C HDTV Connection System (SMPTE compatible), Audio/Video Connectors, Digital Media Converters, Portable Fusion Splicing, Cable Assemblies and Fiber Optic Maintenance, Inspection & Cleaning Tools. Rohnert Park, California — LEMO, a global leader in the design and manufacture of precision custom connection solutions, will be demonstrating their latest connection solutions for critical medical applications in Booth #1861 during MDM WEST, Anaheim, CA, February 12-14, 2013. LEMO’s medical connector products include the NEW REDEL® Single Patient-Use Connectors (disposable), sterilization/soaker caps, as well as their standard metal and plastic push-pull connectors. LEMO will also announce their new aluminum soaker (sterilization) caps for the 2B and 3B Series Connectors. These are covers/caps for the connectors that are put in place prior to cleaning or steam sterilization of the equipment, protecting the connector and the contacts (pins). The perfect solution for medical cable assembly companies that require their cable assemblies to undergo many sterilization cycles. 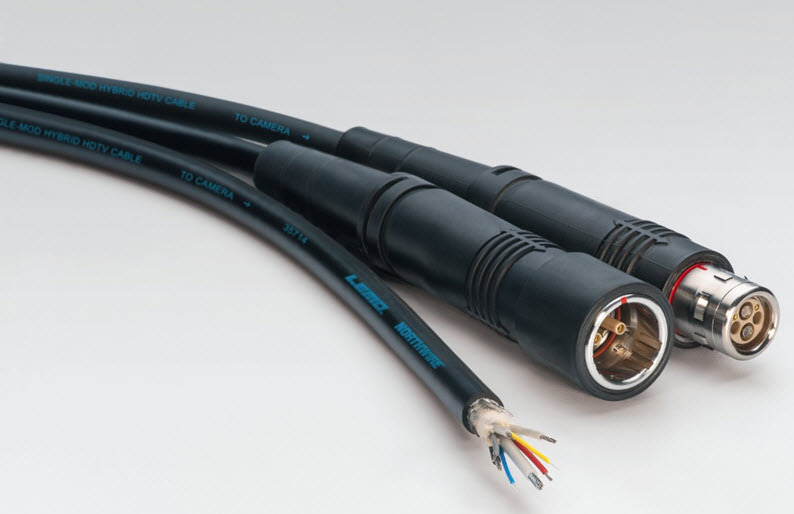 To complete the connection solution, LEMO also offers integrated electronics and custom cable assemblies. LEMO’s experts will be in the booth and available to work with you on your specific applications. Make sure you stop by and visit LEMO at booth #1861! LEMO will be demonstrating 4 new products at the BVE exhibition, further building on the package of products to support HD camera link systems. A new lightweight Furukawa 6.4mm diameter HD hybrid fibre cable is available, manufactured to SMPTE format including steel central strength member with reduced power conductors, to provide a tough but light camera cable offering weight savings of approximately 45% compared to standard SMPTE fibre camera cables. Maximum operating distance is up to 1km depending on camera system. The latest Redel® T7 connector has been developed to meet the increasing demands of HD triax camera applications with significantly improved performance. Fully compatible and exchangeable with the 1051 Series connector commonly used for triax cameras in Europe, the T7 connector has the additional advantages of better VSWR characteristics and a more secure latching mechanism. 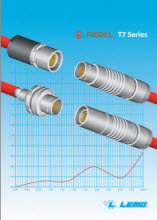 Available with either solder or crimp contacts and with a wide range of options to handle the majority of triax cable sizes, the Redel T7 connector is fully sealed to IP68 to cope with all weather conditions. LEMO also offer a high performance HD Triax 11 cable specially manufactured to LEMO specifications to match the excellent transmission properties of the LEMO range of precision triaxial connectors including the new Redel T7 for HD camera applications, with low attenuation and high level EMC screening properties. Competitively priced against other HD triax cable, it is ideal for both indoor and outdoor use, providing HD transmission distances up to 30% longer than standard triax cable. The cable has a black outer jacket making it less likely to be seen during filming in comparison to red coloured cables, especially in studios, as well as helping to distinguish between standard and HD triax cables. It is also relatively light (for example only 30kg for a 200 metre length) for ease of transportation. Complete cable assemblies are available to order including boots and gaiters as required. New LEMO HD Z-Link camera-back connects camcorders to SMPTE HD fibre links. 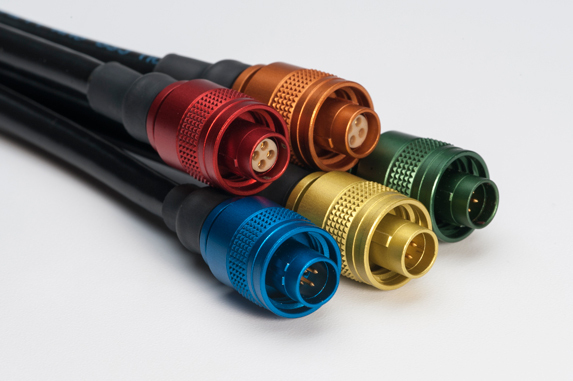 See the new Z-Link along with highly reliable HD triax & HD fibre Push-Pull connectors and cable assemblies. LEMO connectors and fibre converters are found wherever you need truly dependable connections, whether for audio, video, datacoms or controls. For further information visit LEMO on Stand B35. Email uksales@lemo.com or call us on +44 1903 234543. LEMO is now offering aluminum soaker (sterilization) caps for the 2B and 3B Series Connectors. These are covers/caps for the connectors that are put in place prior to cleaning or steam sterilization of the equipment, protecting the connector and the contacts (pins). On their return home for the winter strip-down and rebuild, Rebellion Racing called in on LEMO UK so that staff could have a chance to view at close hand the car that LEMO sponsors. We were also pleased to receive the Mayor and Mayoress, Council Leader Paul Yallop and Deputy Leader Bryan Turner who is also responsible for regeneration. Rebellion Racing have had an extremely successful season in 2012 winning the FIA WEC Endurance Trophy for LMP1 Private Teams. Rebellion Racing's Lola-Toyota cars secured six wins from eight races (Spa-Francorchamps, Le Mans, Silverstone, Sao Paulo, Fuji and Shanghai) and six pole positions, though were unable to break the overall results of the Manufacturers cars. However, in the 24 hour Le Mans Rebellion were able to break the stranglehold of the manufacturers coming an overall 4th in the race. 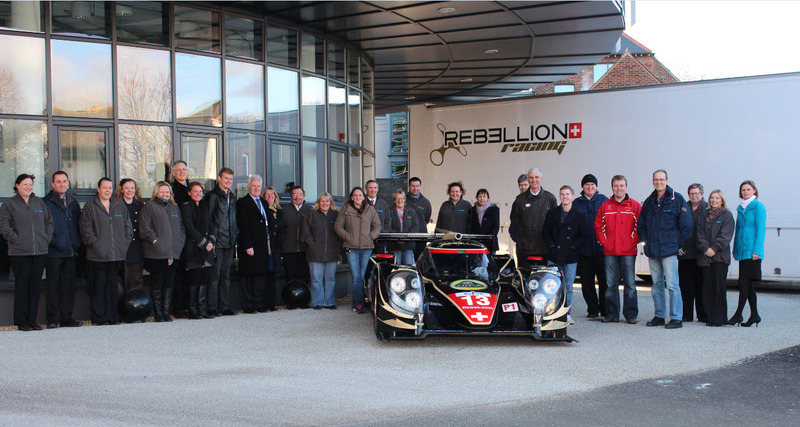 The Rebellion vehicles were on their way to the premises of Sebah Racing near Horsham for their winter re-build in readiness for the 2013 season, in which they will be entering one car in the American Le Mans Series and one car in the 24 hour Le Mans, with remaining participation in other events yet to be finalised. LEMO has a strong link with motor racing, featuring in particular on the latest version of the McLaren Electronics F1 ECU. As well as a number of their F Series connectors continued from the precious F1 ECU system, the new ECU has tree of the new LEMO 5M series with up to 114 contacts in a 30mm diameter connector, thus further assisting weight reduction with improved performance in this highly demanding environment. Counterfeiting is becoming more and more of a problem for electronic manufacturers, particularly when passed off as original product, resulting in many instances of warranty problems for manufacturers and users alike. At a recent exhibition, a number of Asian companies were found to be offering direct copies of LEMO Push-Pull connectors, sometimes exactly copying the LEMO branding, catalogue and part numbers. LEMO took appropriate action and, through a combination of customs (illegal import of counterfeit products) and legal means (breaking copyright) these products were cleared from the relevant stands with penalties being imposed. LEMO will continue to take every opportunity to demonstrate to counterfeiters and their importers that action can and will be taken against them. 18000 - 3D CAD drawing references now online ! LEMO started working with TraceParts in 2010. Since then, LEMO has continuously improved their online 3D CAD drawing information. On November 1st, 2012, we added an additional 4000 drawings, allowing engineers, draftsmen and CAD users to download drawings from our product part search or from TracePartsOnline. With the help of additional 3D models on lemo.com, we can now offer a high added value service to our customers. Rohnert Park, California, September 25, 2012 — LEMO, a global leader in the design and manufacture of precision custom connection solutions has added a Rugged Waterproof USB Type A Connector (IP68 when mated) to its family of lightweight ratchet-coupling compact connectors. This particular connector has been designed for outdoor use including oil/petroleum, automotive, mining, military, marine or any type of application that requires rugged and reliable connections. The complete product line includes panel mount sockets, plugs, and protective caps. The M Series is designed specifically for COTS military, security & aerospace, as well as other harsh environment applications that require robust performance in a lightweight compact size. 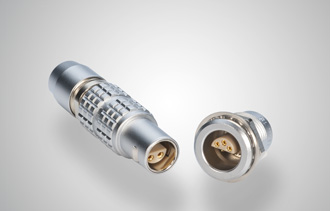 The LEMO M Series Connector Series offers insert configurations from 2 to 114 contacts and is focused on the design engineer that desires a MIL-38999 type connector but in a much smaller, compact, and lightweight package with higher contact densities. For more detailed information on this new product click here for the datasheet. Creation of LEMO CANADA Inc.
LEMO group is proud to announce the creation of LEMO Canada, Inc, based in the Toronto area. This new LEMO entity has been officially established on August 24th, 2012, through the acquisition of Birde Marketing Inc, official distributor of LEMO products in Canada. Birde Marketing has successfully represented LEMO products in Canada since 1988, achieving regular and steady sales increase during the past 24 years. The Company currently employs 13 people, based in 4 offices across Canada. Mr Mario Colacino, who has been with Birde Marketing since 1988, has been appointed General Manager of LEMO Canada, Inc. The acquisition of Birde Marketing reflects our strategy to expand LEMO's presence in major markets. The creation of LEMO Canada will strengthen LEMO's position in North America and create new opportunities to respond to existing and future customer needs. designed to ensure quality performance in medical applications, yet can be economical enough to justify single-use. ideal solution for medical or measurement applications, from catheters to surgical instruments. To complete the connection solution, LEMO also offers integrated electronics and custom cable assemblies. LEMO’s experts will be in the booth and available to work with you on your specific applications. Rohnert Park, California – LEMO (www.lemo.com), a global leader in the design and manufacture of precision custom connection solutions, will be demonstrating their latest connection solutions for field (harsh environments) and studio (indoor use) applications in Booth #C9012 during NAB, Las Vegas, on April 16-19, 2012. LEMO’s products include the well established 3K.93C HDTV Connection System (SMPTE compatible), Audio/Video Connectors, Digital Media Converters, Portable Fusion Splicing, Cable Assemblies and Fiber Optic Maintenance, Inspection & Cleaning Tools. LEMO will be demonstrating the HD Z-Link fiber optic camera link system that provides multichannel system camera-style video and audio connections, and control for studio cameras and camcorders alike over a single hybrid cable using the LEMO 3K.93C connectors. The use of high bandwidth fiber optics and the multiplexing of numerous forward and return video, audio, talkback and data channels provide full communication with any camera position. THIEF RIVER FALLS, Minn., USA – Electronic components distributor Digi-Key Corporation, recognized by design engineers as having the industry’s largest selection of electronic components available for immediate shipment, and LEMO®, a global leader in the design and manufacture of precision custom connection solutions, today announced the companies have signed an agreement in which Digi-Key will be LEMO’s first global distributor. New General Manager at LEMO USA Inc.
Switzerland, (www.lemo.com), and a global leader in the design and manufacture of precision custom connection solutions, announced today the appointment of Dean Pohwala as the new General Manager, nominated by the President of the Board, Alexandre Pesci. Dean will replace Albert Meylan, who has been the acting GM since October 2010. Albert will be returning to another management position at LEMO Headquarters in Switzerland. Since March of 2011, Dean held the National Sales Manager position where he drove the development and implementation of the sales business plan and provided guidance to the North American sales reps and distributor network. Now up to 10'000 LEMO CAD drawings can be downloaded online from TraceParts. Models include the B,K,S,E series, as well as F series and the M series for the military market. Medical REDEL P series connectors can also be viewed and downloaded online, making it easier than ever for CAD users to turn their 3D designs into reality. LEMO is looking forward to welcoming you this year at IBC 2011 to our booth in Hall 11.C45. LEMO will be showing it's entire range of broadcast converters including the innovative new HD Z-link as well as our traditional range of triax and LEMO's 3K.93C series. LEMO will be demonstrating a new product, the HD Z-Link fiber optic camera link system that provides multi-channel system camera-style video and audio connections, and control for studio ca eras and camcorders alike over a single hybrid cable using the LEMO 3K.93C connectors. The use of high bandwidth fiber optics and the multiplexing of numerous forward and return video, audio, talkback and data channels provide full communication with any camera position. The dual 1.5Gb/s HD SDI option allows support of stereoscopic (3D) implementations of the Red One ® (and other cameras). The HD Z-Link is able to carry 3Gb/s HD SDI which gives it a competitive advantage over the 2.5Gb/s products that do not support 1080P. Rohnert Park, California, August 7, 2012 – LEMO, a global leader in the design and manufacture of precision custom connection solutions will be displaying its new connector series designed specifically for COTS military, security & aerospace, as well as other harsh environment applications that require robust performance in a lightweight compact size. The LEMO M Series Connector family offers insert configurations from 2 to 114 contacts and this product is focused on the design engineer that desires a MIL-38999 type connector but in a much smaller, compact and lightweight package with higher contact densities. Back to the future–the return of LEMO UK to new headquarters and a new website. After a 4-year absence, LEMO UK have returned to their North Street location in Worthing to a new, multi-million pounds, futuristic building, that provides the space and modern facilities to continue our development as a supplier of high quality interconnection solutions for niche applications in industries such as Broadcast, Defence, Scientific Research and Test and Measurement. LEMO UK occupied 12 North Street for 17 years prior to moving out to temporary premises nearby, acquiring the Caffyns site next door to provide the space for our 3,700 sq m modern and stylish building that now adds a new dimension to Worthing's skyline. The new facilities will house all our UK operations including Engineering, Manufacturing, Distribution, Administration and Sales & Marketing, as well as the LEMO Group's Fibre Optic R&D centre - LEMO F.O.U.R. The basement of the building will house our extensive cable stock and cable reeling equipment, connector stores and assembly will be on the ground floor along with our prototyping machine shop. The first floor will house our sales, technical and production administration, our large and light cable assembly and test shop and the Fibre Optics R&D engineering, laboratory and training centre. General administration, accounts and our conference room are on the second floor, but there is also additional space on this level for expansion of manufacturing when required. There is a cafe on the 3rd floor where employees can relax and enjoy the views of the Worthing skyline and the picturesque South Downs to the north. The new REDEL 1P with a metallic outershell offers new opportunities for interconnection systems. Aside from the medical applications, the REDEL 1P is used more and more in measurement and instrumentation applications. The metallic outershell is made of ecological aluminium (grey finish). The metallic shell makes this version of the connector more robust, while the plugs remain perfectly compatible with the actual REDEL 1P sockets (receptacles). El nuevo conector REDEL 1P con cuerpo exterior metálico ofrece nuevas oportunidades para los sistemas de interconexión. Además de las aplicaciones médicas, el REDEL 1P se utiliza cada vez más en aplicaciones de I+D e Instrumentación. El cuerpo exterior metálico se fábrica con aluminio ecológico (con acabado gris). El cuerpo exterior metálico hace de esta versión el conector más robusto, mientras que los conectores machos siguen siendo perfectamente compatibles con las hembras de panel REDEL 1P actuales. LEMO S.A is pleased to announce the launch of its new high voltage connector for avionics. The connector’s design prevents voltage creeping on the surface of the insulator. LEMO’s high altitude connector will operate correctly during pressure drop and temperature cycle. Test voltage >30 kV @ 70'000ft. The HY series is made of PEEK outershell and is designed to be used only with a non shielded cable. Running concepts by customers without having to create physical prototypes is one of the most valuable benefits we get from Digital Prototyping. Not only can we develop products faster but we have also increased the pace of innovation. Learn more about LEMO and Autodesk on Youtube Podcast. REDEL 1P now also in white colour ! Designed for the medical sector, the REDEL 1P connector is available in grey, black and white colour. September 2008 - LEMO has acquired a product called Z-Link from Cove-Broadcast , this is a fibre optic camera link system allowing transformation of a professional camera or camcorder into a TV live production camera. LEMO presented the Z-link at the IBC 2008 exhibition (Amsterdam). The Z-Link is a versatile camera-mounted fibre optic camera link between any professional camera or camcorder and an OB Van, studio or outside broadcast place. This means that an ENG camera can be simply and quickly modified for studio or remote camera use if required. The Z-Link is a cost effective alternative solution for expensive studio cameras. The Z-Link provides multi-channel system camera-style video and audio connections, and control for studio cameras and camcorders alike. The fibre optic camera link simultaneously transmits digital (SDI) and analogue channel (YPrPb and PAL/NTSC), all over one thin light cable. LEMO certifies that connectors produced and marketed by LEMO S.A. Ecublens, Switzerland, under the brands LEMO, REDEL and COELVER are free of: mercury, cadmium, lead, hexavalent chromium, polybromide biphenyl (PBB) or polybromide diphenyl ether (PBDE), including DecaBDE, according to the requirements of the Directive 2002/95/EC of the European Parliament and of the Council dated 27th January 2003. This does not apply yet to our connectors with aluminum shell. LEMO plans to achieve full conformity no later than first quarter of 2006.